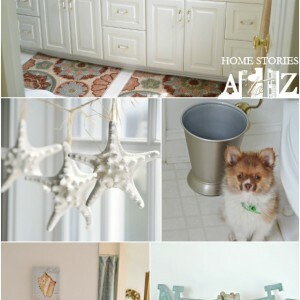 DIY Bathroom Storage Solutions! Great tips for less money! 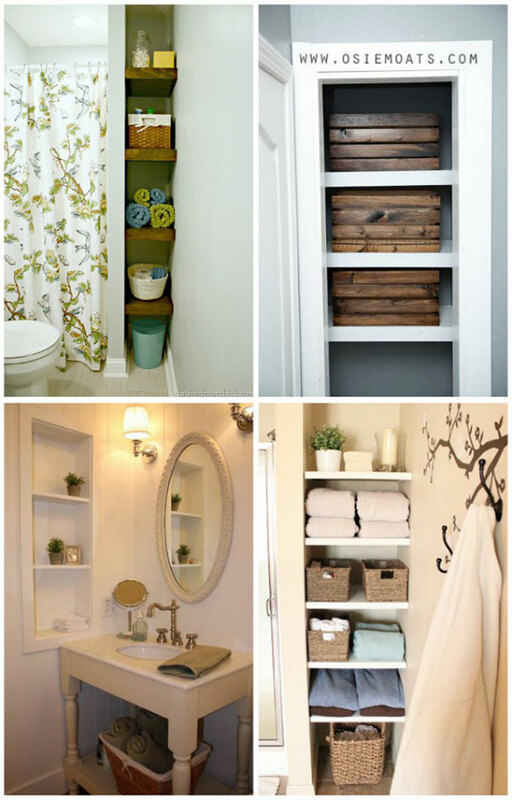 When you are faced with a small bathroom, finding storage solutions can be tricky. 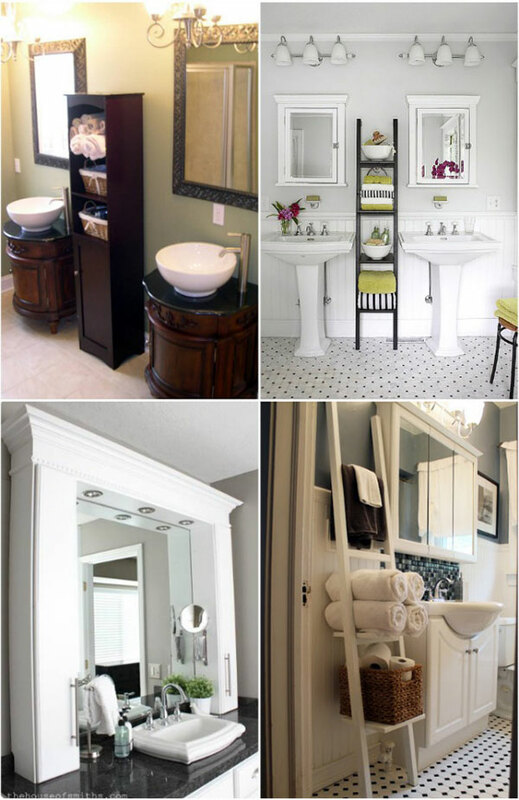 We often store a vast variety of products in our bathrooms and want our storage to be functional yet attractive. If you are struggling to find more storage in your small bathrooms, do not fret because there are creative ways to maximize storage that won’t cost you a fortune. 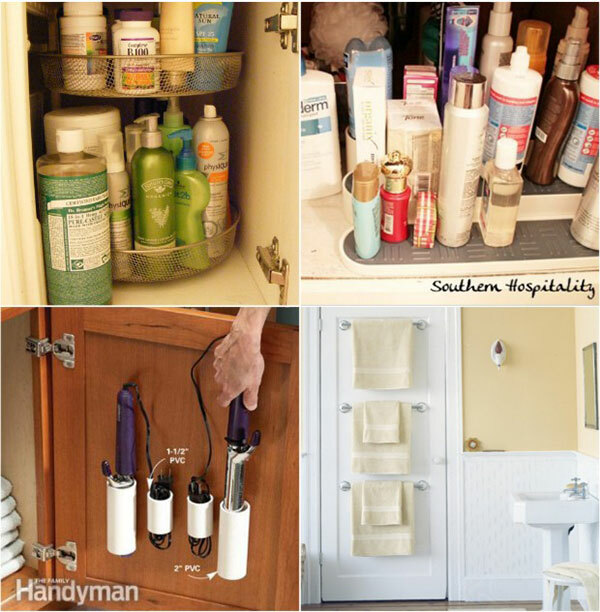 Here are some great ideas storage-solution to help you get organized in the bathroom. Please click the links under each photo collage to be taken to the original source. Above the toilet is often an overlooked space for storage. 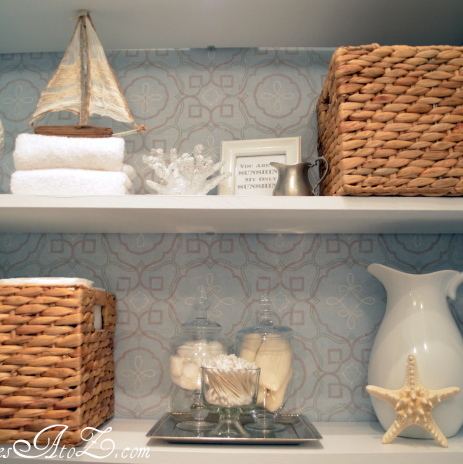 Consider adding shelves which can hold bathroom necessities and storage baskets. Semi-floating shelves can be made by painting pine boards purchased from a home-improvement store. Use small corner braces to attach the shelves to the wall. 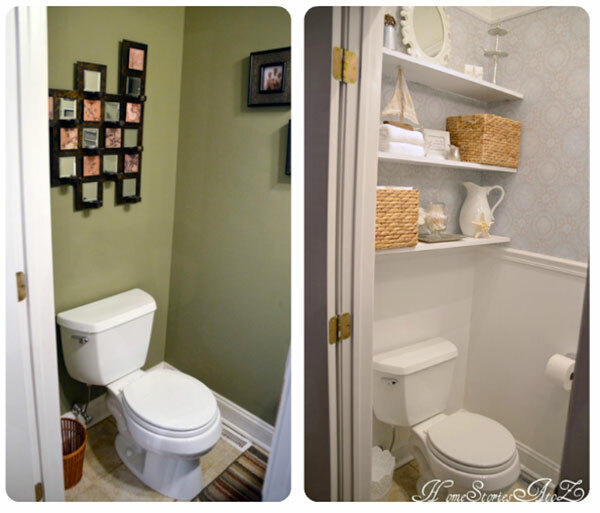 Bathrooms often have storage space hiding behind the wall. You can create built-in storage by capitalizing on the space concealed beneath your drywall. Building open shelves in this space will allow you to store items while creating a pretty focal point in the room. Look for inexpensive, skinny vertical storage units at stores like Ikea, Target, and Lowes to expand your bathroom storage space. If you have pedestal sinks, use a tall cabinet or ladder-shelf unit and fill with attractive storage containers and towels. Or, if you are feeling really creative take a tip from The House of Smiths and use two Ikea DVD racks on either side of a bathroom mirror to create a unique medicine cabinet. Or paint an Ikea ladder-shelf and placed it in the bathroom to store towels and other sundries. In my master bath, I chose a cabinet from Target and placed it between my vessel sinks to hide a myriad of bathroom necessities. 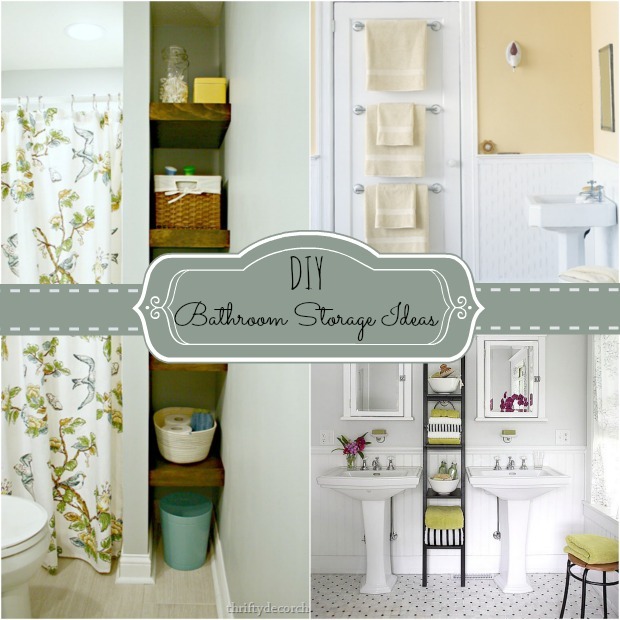 Store-bought storage for your bathroom can be an excellent and easy way to obtain more space for your bathroom. Look for ways to maximize storage in your bathroom by investing in drawer organizers, revolving trays, tiered shelving, and additional towel racks. Many items sold for kitchen organization also work great in your bathroom cabinets, so don’t be afraid to think outside the box when looking for ways to organize. Utilize the storage space on the backs of doors by hanging shoe racks, towel racks, hooks, and other creative containers. 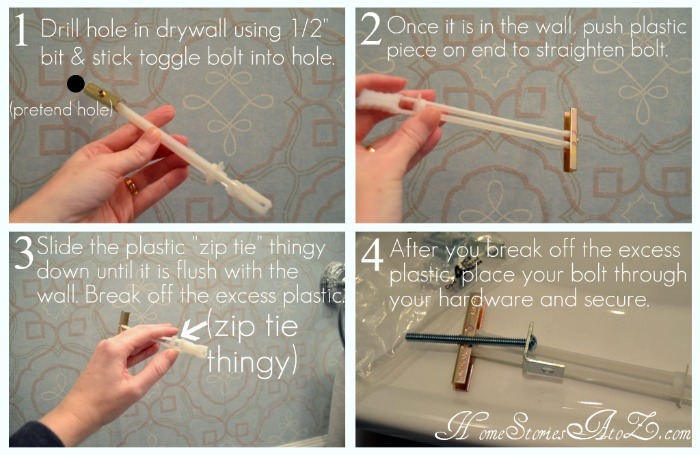 I love the idea of attaching PVC pipe to the interior of your cabinet with velcro tape to store curling irons. No matter your level of handiness, creating more storage space for your small bathroom is obtainable with a little time and ingenuity. 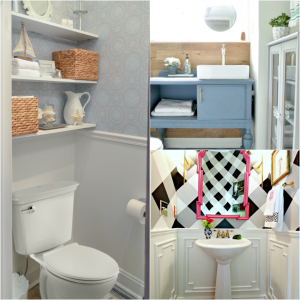 Analyze your bathroom for hidden nooks and crannies where you can optimize storage space and better organize your items to create more space.